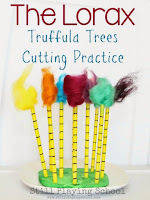 Are you looking for ideas to celebrate Dr. Seuss' birthday? 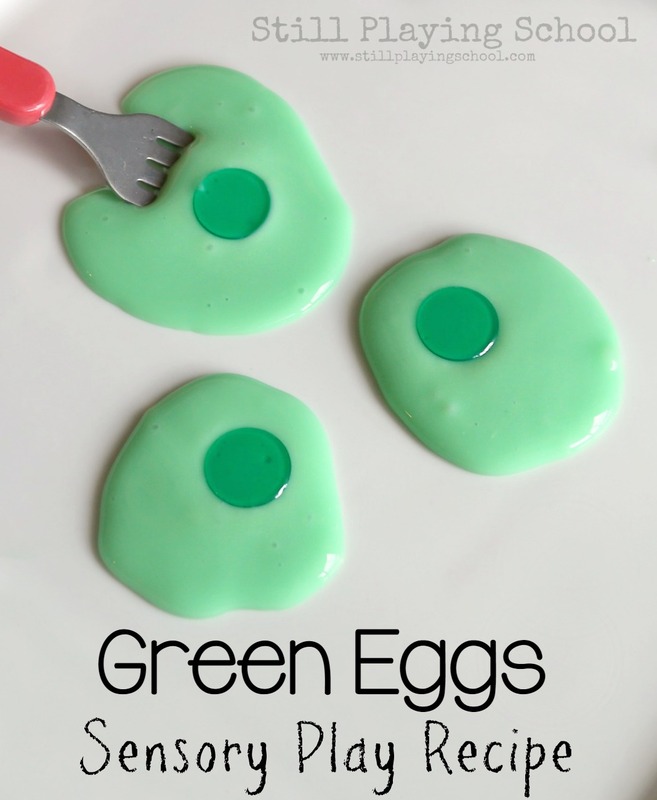 Have your kids always loved the book Green Eggs and Ham? We've got the perfect sensory play recipe for Read Across America Day! Please Note: This is not a recipe for edible green eggs. This is a recipe for play that should not be ingested. Supervise children at all times. 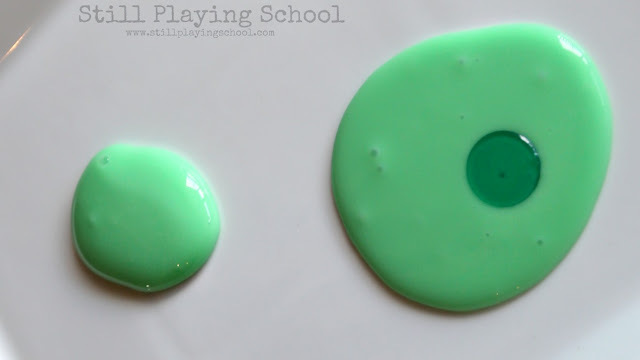 We whipped up a batch of slime, or gak, or maybe flubber to represent the green eggs. 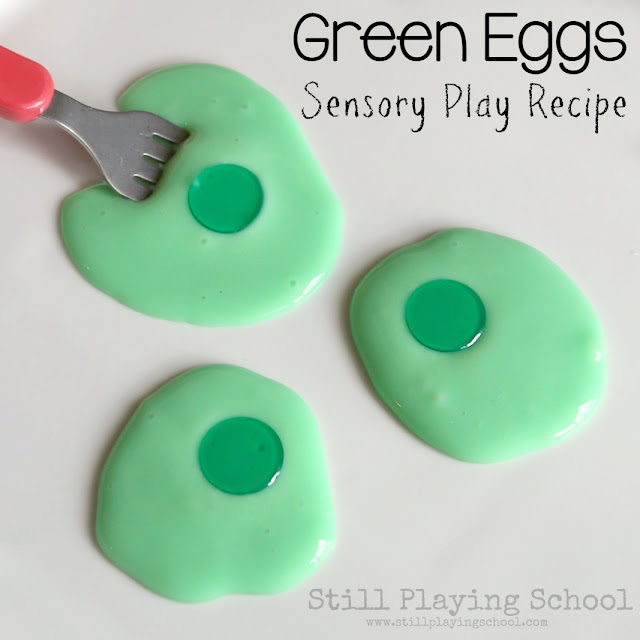 No matter what you call it, this polymer based sensory recipe truly does look (and kind of feel) like eggs! 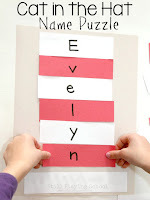 The instructions are listed at the end of this post. Our kids enjoyed this squishy, squirmy sensory material. It won't stick to hands. (At least not too much and it can be easily picked off if a piece does remain on your skin.) We began by giving each child a small amount of the slime. They rolled their piece into a ball then let it ooze into a fried egg shape. It's mesmerizing and calming to watch it change from the ball to the blob on the left here. It finally becomes flat like a pancake. 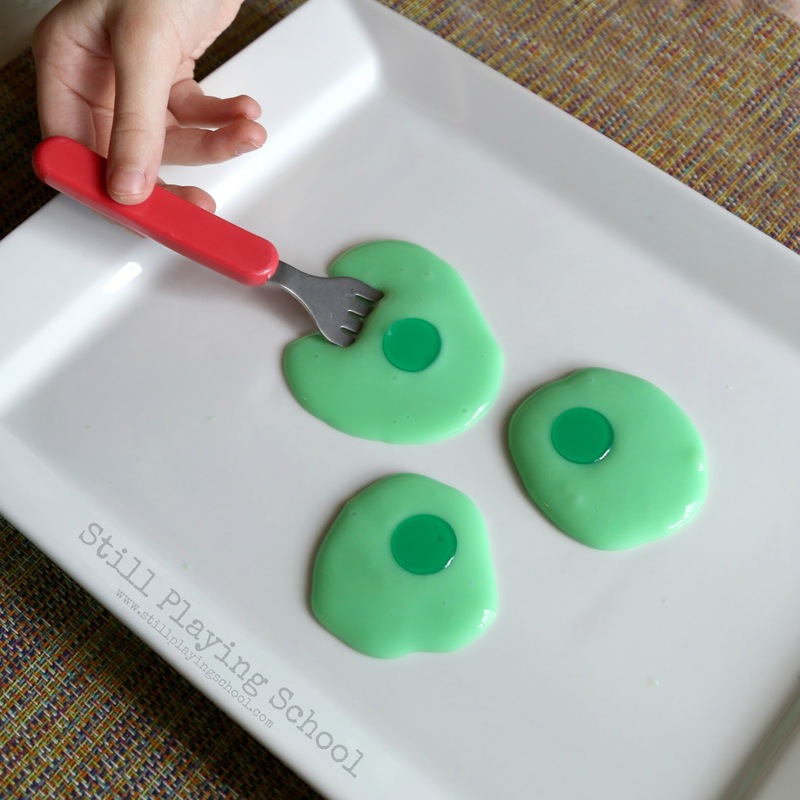 We added green transparent counters for the yolks but you could also cut green craft foam into circles or green gems. Don't they look just like green eggs? I bet we could even try flipping them with a small spatula. That'll be a fun challenge for our kids to try. The slime stores well in an air tight container between uses. 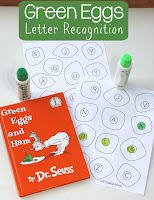 Adding one counter to each egg was great for working on one to one correspondence. 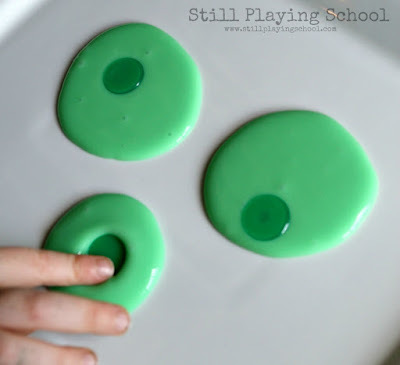 We used Teach Preschool's Recipe for Slime for our Green Eggs Sensory Play! This is so fabulous! I cannot find liquid starch here! i must look harder. I know the hooligans would LOVE to do something like this!